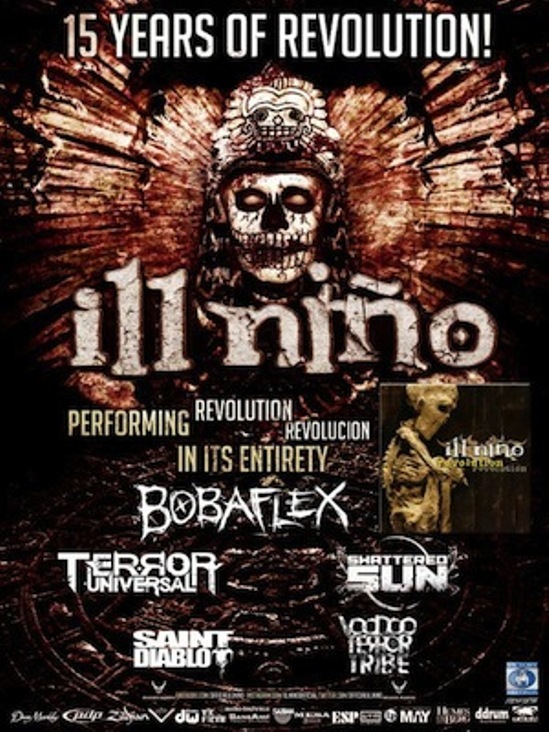 Ill Niño To Perform “Revolution Revolución” In Its Entirety On 2016 Tour With Bobaflex, Terror Universal, Etc. Ill Niño will be performing “Revolution Revolución” in its entirety on an upcoming headlining tour to commemorate its 15th anniversary. The band will also be joined by special guests Bobaflex for most of the tour, and Terror Universal, Shattered Sun, Saint Diablo, and Voodoo Terror Tribe on select dates.